Nine people at Dyess Air Force Base in Texas have been quarantined for possible SARS infection. (CNN) -- Preliminary tests on eight people affiliated with Dyess Air Force Base have come back negative for severe acute respiratory syndrome, military and local public health officials have said. In all, 11 people with respiratory symptoms medically consistent with SARS are under home quarantine, an Air Force spokesman said Friday. Two people went to a base clinic Friday and joined nine others who were already being treated. More testing is being conducted to rule out SARS infection, and definitive results might not be in for another two to three weeks, according to a statement Friday from the Abilene-Taylor County Health District. Two patients tested positive for a common infectious bacteria, streptococcus pneumoniae, often seen in patients with pneumonia, the statement said. The quarantine began after health officials learned that three of the people reporting respiratory symptoms had traveled through the airport in Toronto, Ontario, where an outbreak of SARS occurred earlier this year. But Dr. James Young, Ontario's commissioner of public safety, said there is "very, very little possibility" that they could have contracted the illness there because the outbreak was contained well before they were in Toronto. And even before containment, no cases had been linked to the airport, he said. "We've had no cases whatsoever at the airport," he said. "We've [not] had transmission in Toronto since the 12th of June." None of the 11 patients has been diagnosed with SARS, and none has been hospitalized, county health officials said. Family members caring for them have been given masks and rubber gloves. Three airmen who became sick had traveled through the Toronto airport July 1, county health authorities said. At the time, both the World Health Organization and the U.S. Centers for Disease Control and Prevention had issued travel warnings for Toronto because of a SARS outbreak in Canada's largest city. Those warnings have since been lifted. Earlier this week, one of the airmen came to the Dyess medical clinic with "mild to moderate" symptoms of respiratory illness, the county health district's statement said. "After the staff learned he had recently transited through the Toronto airport, it became necessary, due to CDC guidelines, to [quarantine] him as if he had SARS," the statement said. The other patients being quarantined in their homes did not travel through Toronto, but they came into contact with the three airmen who did, according to county public health authorities. Doug McBride, a spokesman for the Texas Department of Health, said there is a very low probability that any of the cases will be classified as SARS but that authorities are taking a cautious approach. SARS, which is caused by a virus and spread though close personal contact, is potentially fatal, though most patients recover. 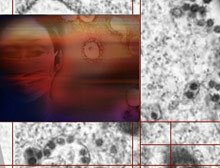 The disease emerged late last year in China and spread to other Asian countries and North America. CNN Pentagon correspondent Barbara Starr contributed to this report.